Happy Saints: New! Happy Saints Volume 10 eBook - 20% off! 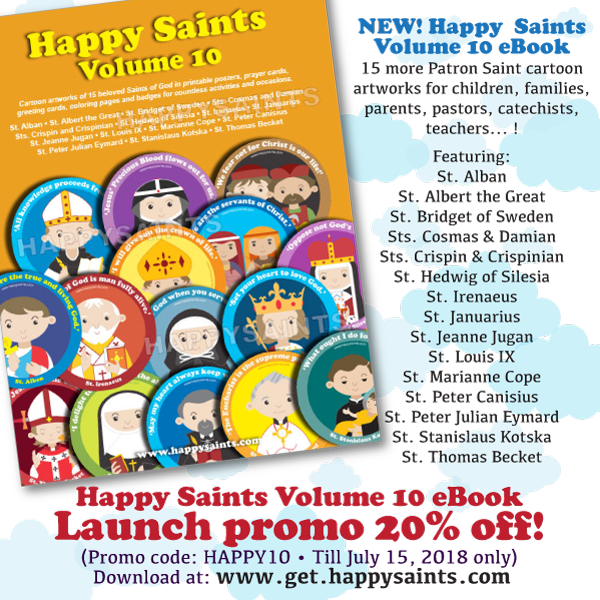 Happy Saints Volume 10 eBook is now available! 15 more cartoon artworks of 15 patron saints, each with short biography and prayer. ORDER NOW and GET 20% OFF! UNTIL JULY 15, 2018 ONLY!